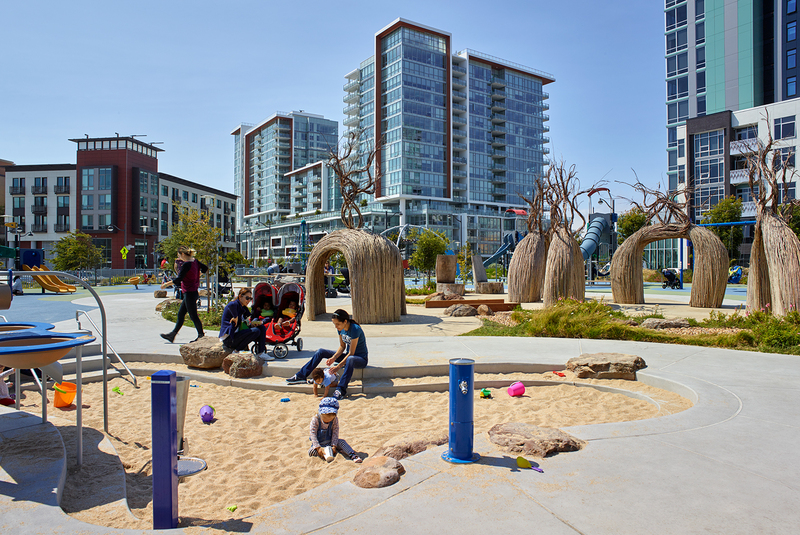 Mission Bay Kids' Park is the major play space for families in the Mission Bay area. 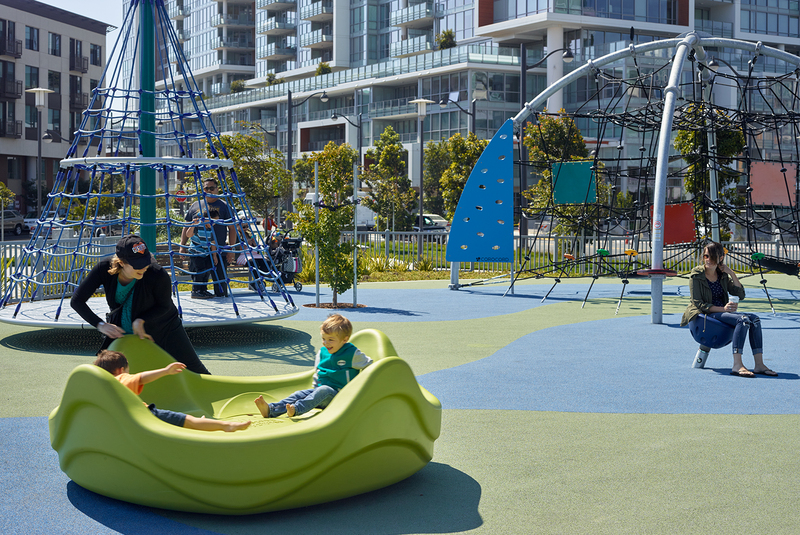 The design focused on offering children of all ages and abilities the opportunity to swing, spin, slide, explore, and use their imaginations in a unique and fun environment. The core of the playground is a nature exploration zone with opportunities to discover, climb, roll down a hill and follow a rock stream. 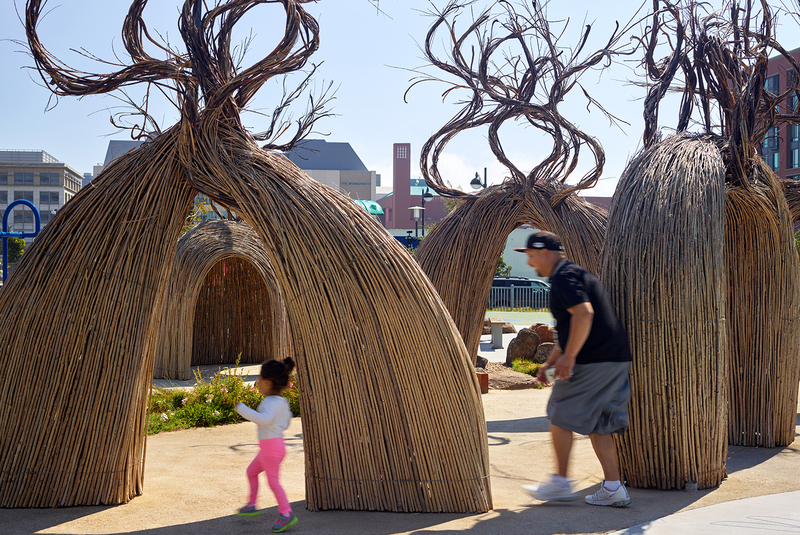 A willow hut, arches and walls create a fanciful center maze. 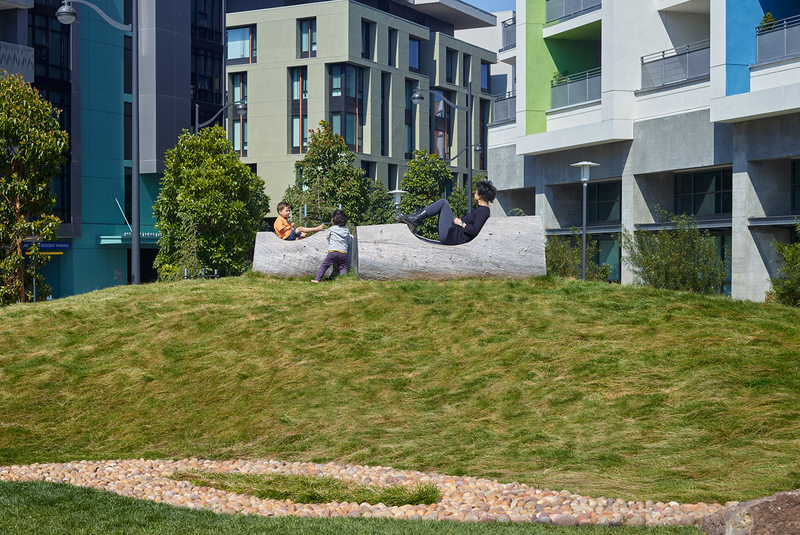 Large logs are cut into whimsical shapes for seating and climbing. A stream of rocks connects the willow maze to the turf hill where log sculptures attract kids. 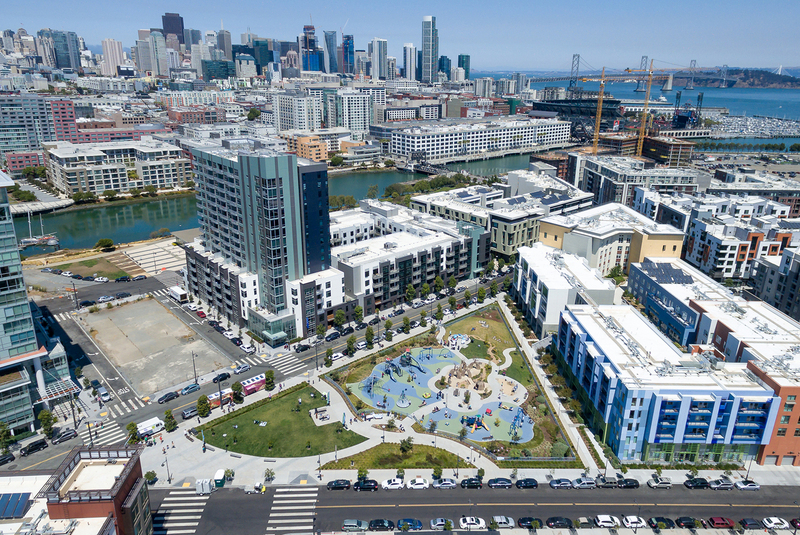 The playground educates in subtle ways with gardens designed to attract butterflies and birds, pavement inscribed with the animals of Mission Bay and tree sculptures that display growth rings and natural forms. 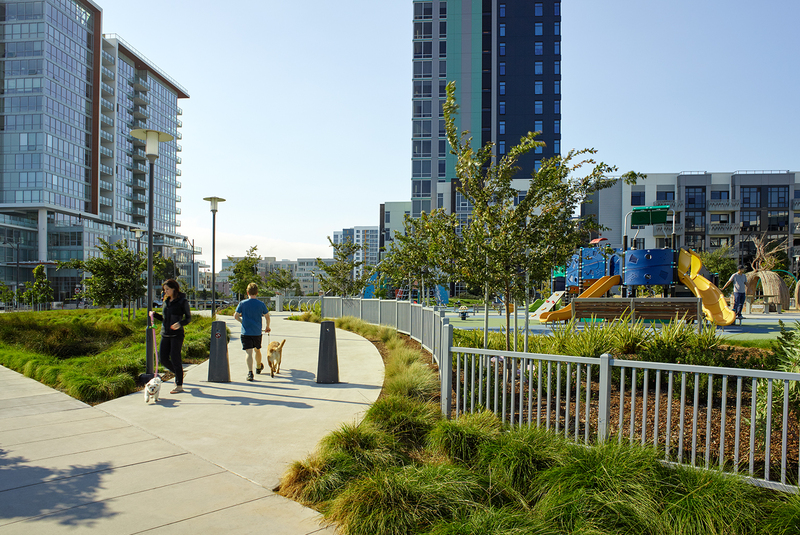 To respond to the large need for play, two thirds of the park is a playground, while outside the playground is a lawn area, picnic area and plaza for all users.